•	All Size Salwar Suites At Start just Rs.349/- Types Of Suites: Anarkali Suits, Palazzo Suites, Pakistani Suites •	Branded Silk Sarees available at Just Rs. 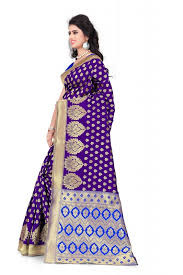 999/- Designer sarees, bridal sarees, Banarasi Silk Sarees •	Latest Designer Lehenga Choli at Rs: 749/- •	Party Wear Lehenga Choli at Just Rs: 799/- •	Designer Gown and Party wear Gown at Just Rs. 649/- •	Branded Kurties at just Rs. 399/- Cash on Delivery (COD) option available Buy online and more details.